His Father’s role in the company. His Family’s early days building churches. His father’s experience in the Great Depression. His grandfathers role in the company. Stanley F. Lichtefeld, the only son of nine children, born March 24, 1915 came into the family business in the 1930’s. After graduating from St. Xavier high school in 1933, Stan began working for the Armor Meat and Packing Company for a couple of years. After his short employment with Armor Stan joined his father in the construction business. In 1935 Stanley acquired the responsibilities of bookkeeping and estimating as well as office management. This was the beginning of Fred J. Lichtefeld and Son Construction Company. For nine years Stanley helped his father grow the business back to the same reputable residential construction company as the Lichtefeld’s had been known for in the 1920’s. The beginning of WWII proved to be another turning point for the Lichtefeld family business. After marriage and having his first son (Paul) Stanley was called to war. In 1944 Stanley was called to duty being drafted by the US Navy participating in WWII. Fortunately for the Lichtefeld business, unfortunate for Fred J., Stan’s father suffered a heart attack while he was away at war in 1945. Fearful of loosing the business Fred J. requested that his only son be release from the Navy to carry on the family business. Stanley was released with an honorable discharge from the Navy about the same time WWII was ending. During the mid 1940’s the tables turned regarding company responsibilities. Fred J. had to slow down regarding fieldwork to became the office person while Stanley changing responsibilities handled field procurment and management. 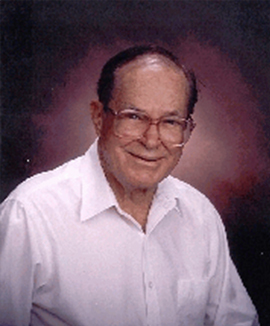 Retired in 1970 Stanley F. Lichtefeld had many great accomplishments during his tenure with Lichtefeld, Inc.